One reason for the collapse is that federal quotas for cod are so low many fishermen are just avoiding them altogether. One of the most historic fisheries in the country hit an all-time low last year as cod fishermen continued to struggle with choking quotas and low abundance of the fish. Maine’s cod fishery has existed since at least the early 17th century, and it was once one of the strongest in the country. The fishery peaked at more than 21 million pounds of cod, a fish often used with the fish and chips dish, in 1991. 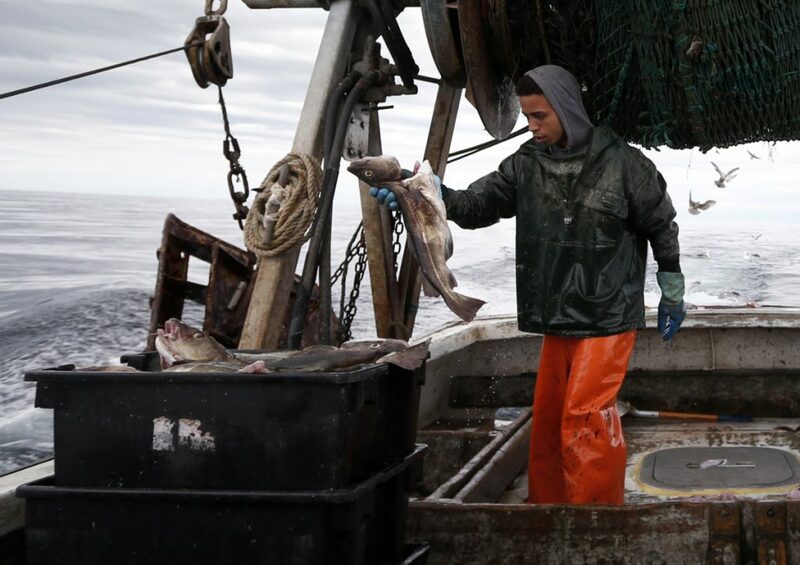 But fishermen only brought 79,816 pounds of cod to land in Maine in 2017, mirroring a downward trend around New England, where cod fishermen have also struggled in New Hampshire and Massachusetts, state data said. Maine’s total was less than half the 2016 haul and by far the lowest on record according to state data that go back to 1950. A cod caught off the coast of Hampton Beach, N.H. in 2016. 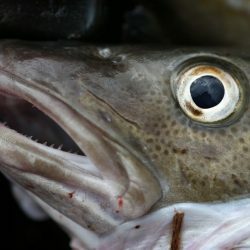 Regulators have approved a series of cutbacks to the coastwide quota for cod over the past several years, and the United States’ catch of the fish has fallen from more than 100 million pounds per year in the early 1980s to about 3.2 million pounds in 2016, the most recent year for which statistics are available for all states. It’s possible that fishermen might catch slightly more in 2018, because regulators approved a bump in quota for the Gulf of Maine and Georges Bank, the two areas where cod are harvested. That went into effect on May 1. “Cod can be a limiting stock,” said Janice Plante, a spokeswoman for the regulatory New England Fishery Management Council. Atlantic cod is still readily available to diners and shoppers in the U.S. because of imported fish from countries such as Russia, Norway and Iceland. But finding local cod in Maine and elsewhere in New England has become increasingly difficult in the past several years, and it’s likely to stay that way.